The American dream, the Europe Story or the African Story? Which story do you want? You pick the region, Toyin can rattle off a list of achievements he’s earned on each continent. This is a man who lives and breathes the underutilized mantra of thinking big. He has earned three degrees, launched 17 successful businesses, created hundreds of jobs, innovated Internet technology that is still being used today on popular platforms like Facebook and YouTube, and amassed a real estate portfolio worth more than $50 million. An amazing story about the Amazing Toyin. Toyin Dawodu immigrated to the U.S. from Nigeria by way of England in the early 1980s. Armed with a diploma in Food and Dairy Technology from South Bank Polytechnic in London. To make himself more valuable to the job market, Toyin enrolled in California State University at San Bernadino where he earned a bachelor’s degree in Finance and an MBA in Business Marketing in 1984 and 1985 respectively. He managed both these feats while holding down a full-time job. Fresh out of college and full of ideas, Toyin launched his first two businesses simultaneously – Associated Marketing, a B2B marketing firm, and Destiny Products, a cosmetics manufacturing and marketing company. 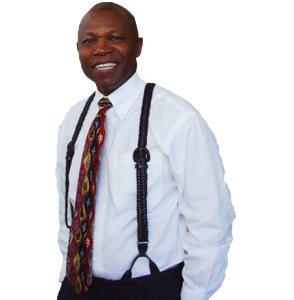 A year later, Toyin redirected his energy and that trademark unstoppable drive toward auto sales. He quickly learned the business and outperformed his peers, becoming the top sales person within his first two months on the job. Subsequent achievements during his three years in auto sales include making his way into the top 50 in the Mazda Sales Guild Nationwide, being recognized for outstanding performance by the Mazda National Sales Guild, earning the distinction of being top salesman at Riverside Acura for 12 months in a row and eventually being promoted to fleet manager where he developed and implemented fleet marketing and referral programs. During his time working in auto sales, Toyin considered starting a side business buying and selling used cars. Each transaction would net him about $200 to $300 in profit, which was something, but it wasn’t enough to make the effort worth his while. It was during that time Toyin had the idea to flip houses instead. He did what many would-be real estate investors did in the late 80s and 90s – he bought Carleton Sheets’ popular No Down Payment real estate training system. He studied, found his first deal… and proceeded to fall flat on his face. It took five years for him to return to real estate investing. In the ensuing years, Toyin built several multi-million dollar businesses, including a consumer debt counseling service, a mortgage company, a foreclosure crisis center to help homeowners fight foreclosure or get a new start after going through foreclosure. He also invested in budding technology. He founded Zxmail.com, an email platform that had some 50,000 users worldwide and processed more than 20 million messages per day by the year 2000. Toyin also developed productivity tools for small businesses, including a web-based innovation called Virtual Desk that digitized physical files and allowed users to access their “work desk” remotely. The technology was the predecessor to programs that are still in use today. By 2005, Toyin had made yet another transition, this time into the entertainment industry, serving as Executive Producer of two feature films, 30 Days and Close Enemies. Toyin made his way back around to real estate, buying the same No Money Down system a second time. Once again, he lacked the support needed to succeed and he left real estate. It took another few years before Toyin gave real estate another go and this time, he pushed through the uncertainties, worked smart and now has successfully bought and sold more than 400 properties through his real estate development companies. Toyin understands the financial and mental challenges new investors must face and overcome to be successful in business. 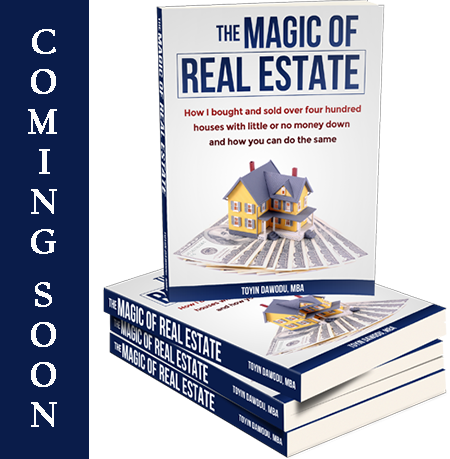 His newest project, The Magic of Real Estate is an investment handbook written for anyone looking to create another income stream. The Magic of Real Estate is not your typical investment guide. It’s a life manual that teaches regular people the skill of making money. 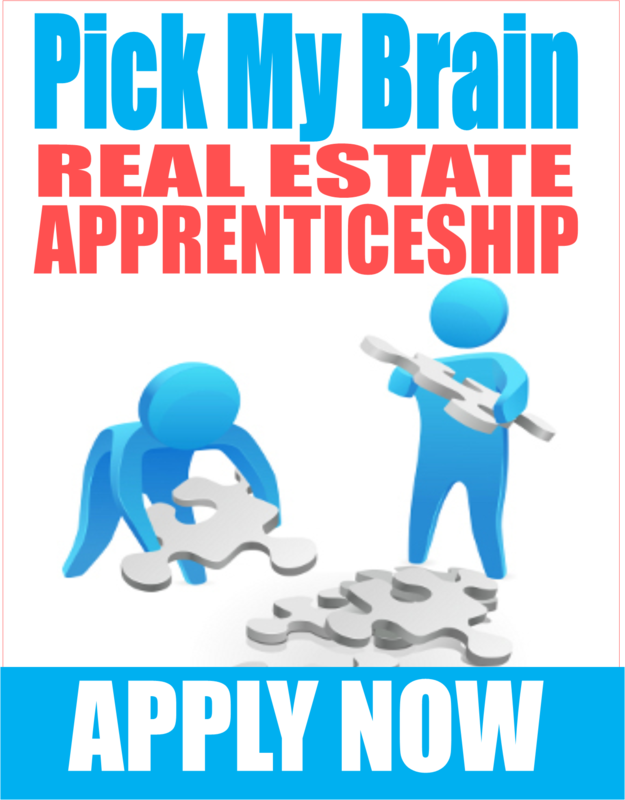 Toyin’s decision to finally write and publish The Magic of Real Estate coincides with his decision to launch of a real estate training platform by the same name. Toyin is Chairman and CEO of Guaranty Investment Company, real estate development company that has completed over $50 million in deals over the last decade. He is also Managing Partner Capital Investment Group, a diversified Investment fund for distressed and opportunistic acquisitions, and T&S Investment, which he uses to invest in real estate in Southern California. Toyin was nominated for an achievement in Technical Ingenuity, in recognition of outstanding vision, ingenuity and dedication that transform technology into new products and companies, enhancing the economic development of the Inland Empire. He is also the recipient of NAACP Freedom Fund Award.